Eric Stockton | Collier Wealth Management, Inc.
Eric has 20 years of professional experience and has established himself as an excellent example of diversity, leadership, and knowledge in multiple industries. Eric also prides himself in his innate ability to communicate with the people he serves. From 1996-1998 Eric served as an Assistant coach at his Alma Mater. In 1998, Eric pursued his dream of playing Professional Football by playing one season in the European Football League in Germany. 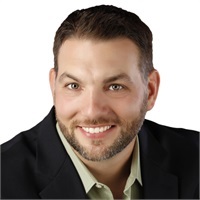 From 1999-2003 Eric was as a senior account executive for a technology firm in Middle Tennessee, which was of one of fastest growing small companies’ in the country. He was one of the top account executives and managed some of the largest projects each year for that company. In 2003, Eric began his Financial Services Career and was promoted to Regional Vice President with his previous company. In December of 2009 he joined LPL Financial. Being the youngest of nine children and having elderly parents has made Eric very passionate about helping people pursue their goals and dreams and living an excellent quality of life in every aspect of their life. A graduate of Kentucky Wesleyan College, Eric was a Dean’s list student athlete and All-American football (Quarterback) in 1994 and 1995. He holds the Series 6, 7, 26, 63, and 66 registrations with LPL Financial. Eric and his wife, Toni, have 4 children, Elijah John, Graham Matthew, Elliana Celeste and Evan Anthony. As a family, they are extremely passionate about preserving the “family unit” and their faith. They enjoy reading, sports, the outdoors, and fellowship. Eric and Toni have dreams of starting and supporting a Ministry in the future that embodies the ‘family unit” and sharing their faith. They are also very passionate about raising their children in an environment that will allow them to pass on their faith and make positive contributions to our society for years to come.